Last month, the Very Rev. Fr. Simeon Odabashian, Diocesan Vicar, and Michael Guglielmo, the Diocese’s Executive Director, traveled to St. David Church in Boca Raton, Florida where they met with members of the 111th Diocesan Assembly Committee to discuss plans for next year’s gathering of Diocesan clergy and delegates. The entire Florida Armenian-American community is excited to play host to the 2013 Diocesan Assembly. Along with a very full and exciting schedule of activities for the 2013 season, St. David Armenian Church has the honor of having been selected to host the 111th Annual Diocesan Assembly taking place from April 29 through May 5, 2013. The Assembly proceedings will be held at the newly renovated Boca Center Marriott Hotel on Military Trail in Boca Raton. “This undertaking is being ably chaired by Carol Norigian, Chairman of the Parish Council, and a very enthusiastic committee,” stated Very Rev. Fr. Nareg Berberian, Pastor of St. David Armenian Church. The Assembly will be preceded by the Annual Clergy Conference beginning Monday, April 29, 2013 at Our Lady of Florida Conference Center in Palm Beach, and ending Thursday, May 2, 2013. The Women’s Guild will hold its 27th Annual Assembly concurrent with the Diocesan Assembly from Thursday, May 2, 2013 through Saturday, May 5, 2013. On Saturday, the Women’s Guild Central Council will sponsor the 4th Annual “WOW” (Woman of Wonder) Luncheon at the Marriott Hotel. This year’s Women’s Guild Assembly will include a new session with clergy present, exciting mini-workshops and dynamic speakers. Parishioners and friends are invited to join the Assembly participants at the gala Banquet and program on Friday evening, May 3 in the Ballroom of the Marriott Hotel where the presentation of the “Friend of the Armenians” and “Armenian of the Year” will be announced. The Assembly sessions will culminate on Saturday evening with a dance also held at the Marriott Hotel. On Sunday, May 6, the Divine Liturgy will be celebrated at St. David Armenian Church followed by a Farewell Brunch. This undertaking is being ably chaired by Carol Norigian, Chairman of the Parish Council and an enthusiastic committee; however, with so many categories to cover, we will be depending on your kind assistance and cooperation to make this a very successful Assembly. We are anxious to share our “southern hospitality” with our friends from all over the Eastern Diocese with warm hearts, welcoming smiles and a friendly hand. 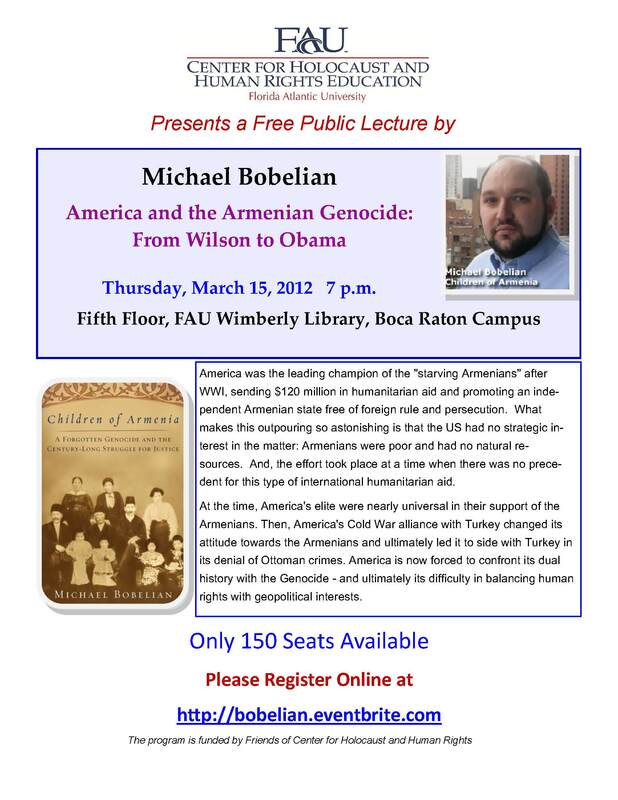 To contribute and/or volunteer please contact St. David Armenian Church at (561) 994-2335.